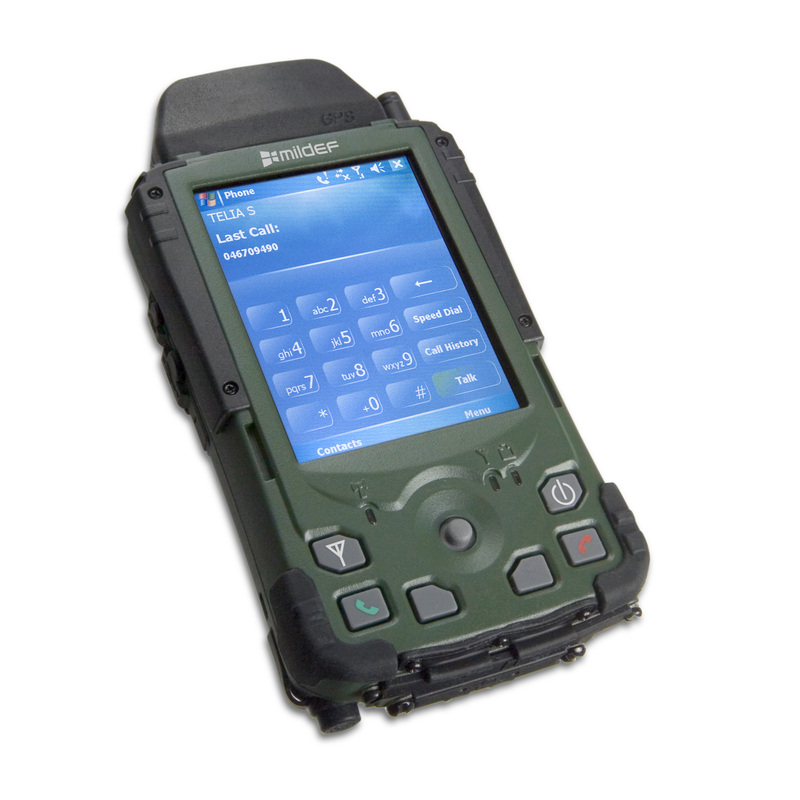 BOB DA05+ is a fully rugged PDA with true VGA resolution (640 x 480). It’s based on the Intel XScale PXA270 – 624MHz CPU with 128MB RAM and 1GB Flash ROM OS. The display is a 4”, VGA rugged sunlight readable transflective TFT LCD. It’s easy to operate with the five way cursor key and four programmable buttons. It’s equipped with built-in speakers and easy to dock on vehicle adapters. It’s delivered with Windows CE 5.0 or Windows Mobile 6.1 and has the following expansion possibilities: GPS, WLAN, GSM/HSDPA/UMTS and Bluetooth. The BOB DA05+ is built around a magnesium casing and meets strict environmental standards such as MIL-STD-810F (altitude, high/low temperature, humidity, salt fog, vibration and shock) and MIL-STD-461E (Electromagnetic compatibility). BOB DA05+ meets IP65, which means it is dust proof and protected from temporary water sprays.